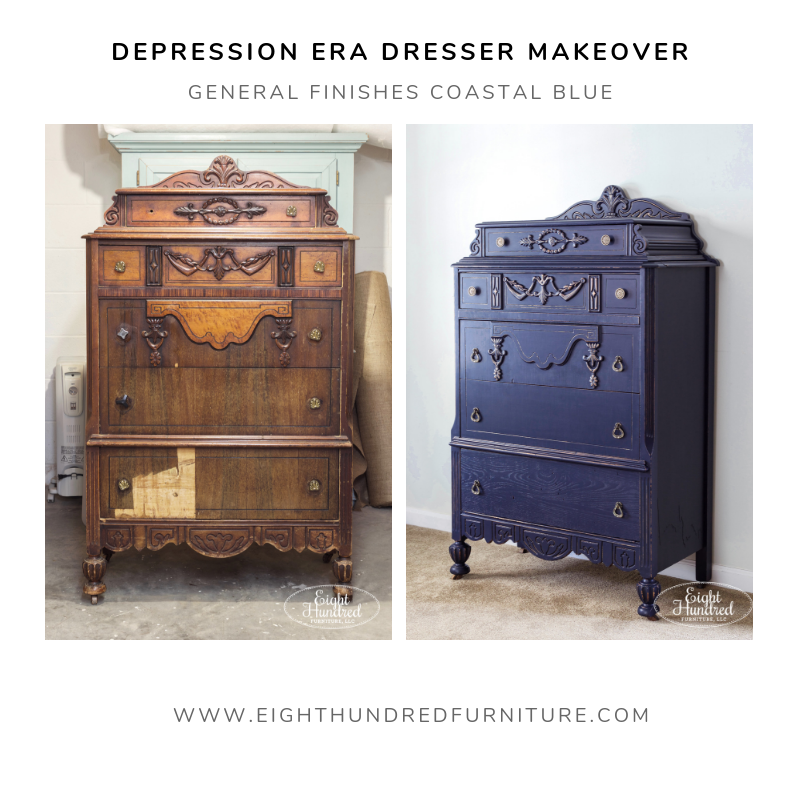 My two depression era dressers have proven to be challenging pieces to refinish. I’ve struggled with both of these pieces throughout their makeovers. Every piece that I work on brings its own set of unique challenges to the table, and these little buggers were no different. The horizontal dresser had the most damage of the two. 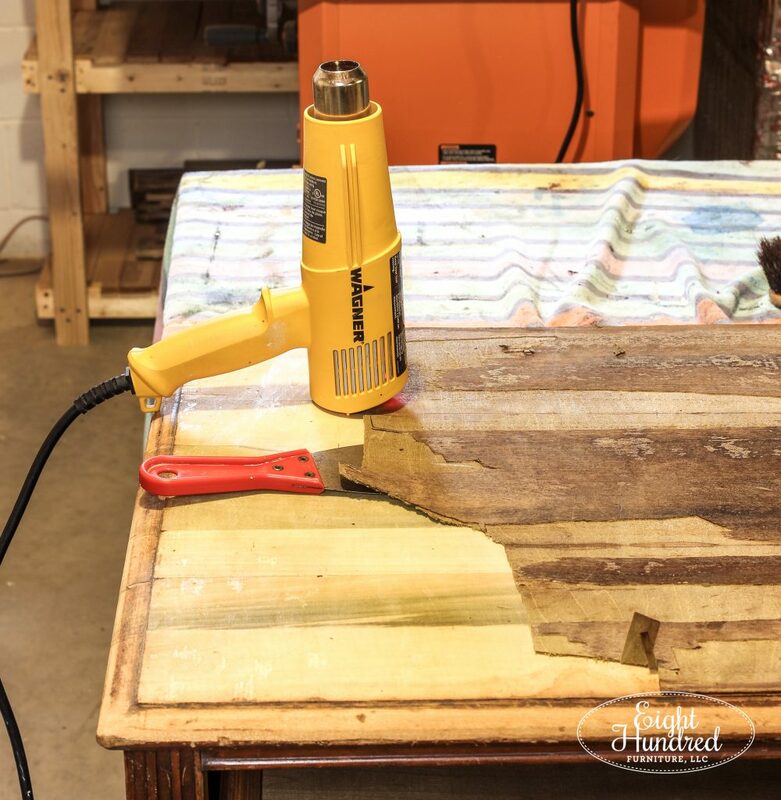 I started its makeover by removing the damaged veneer from the top with my heat gun and a putty knife. I thought the wood underneath would stain up well, but I was wrong. (That happens every now and then!) After sanding it down, I applied a stain but there were strange marks that appeared. I think they were the areas where the glue was still embedded in the wood. Speaking of the wood, bits of it were green when I sanded it down. I thought they would blend in when I stained it, but alas, they peeked through too. and applied two layers. It covered all of the ugly mess on the top and gave me the appearance of a wood top with the full coverage I was trying to achieve. I waited a few hours in between each coat to make sure the paint had completely dried. 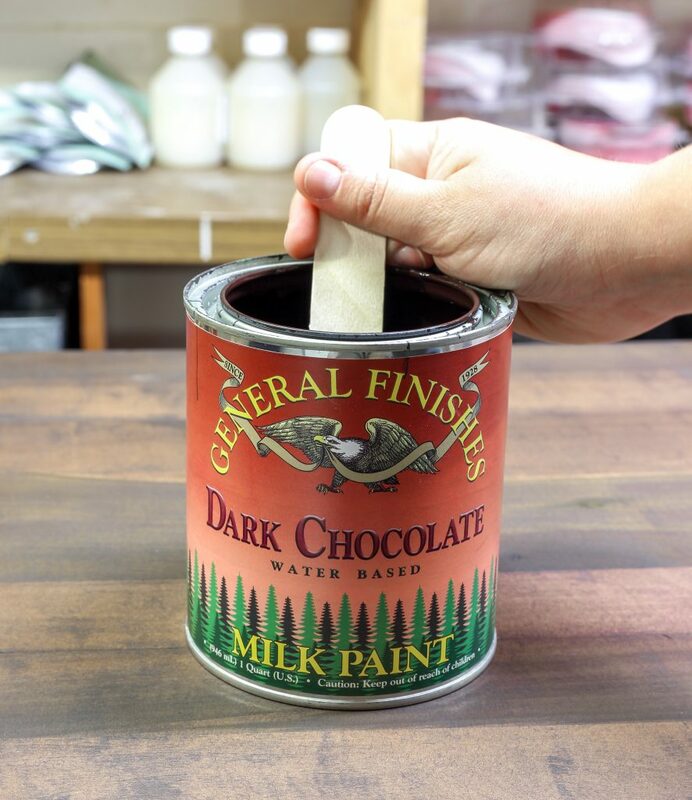 When you are using dark colors, you have to make sure that you don’t trap any moisture in between each layer you’re adding. You can see that this layer was still drying when I took this photo (hence the dark spots at the top). 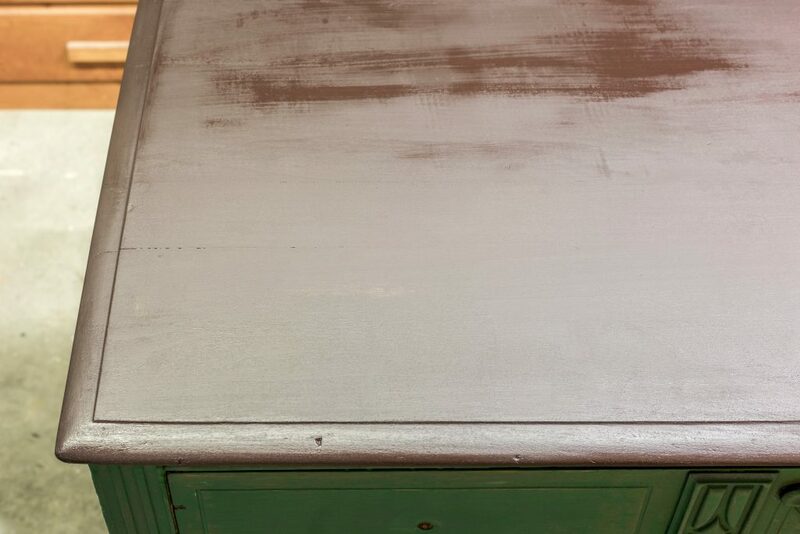 I painted the base of the dresser in Annie Sloan’s Chalk Paint in Amsterdam Green. The bottom drawer of the dresser needed to be repaired, so I asked a local woodworker/carpenter to help me out. He reconstructed the bottom of the two sides and laced in new wood so the drawer wouldn’t fall apart when you opened it. While I was waiting for my drawer to come back, I decided to work on the tall dresser. I truly agonized over what color to paint this one. What was throwing me was the ornate details of its shape. I really wanted to paint it white to lighten its aesthetic footprint, but the original finish was very red/purple, so I would have needed to prime it, which I wasn’t really in the mood to do. Believe it or not, I get weary of the painting process every now and then. 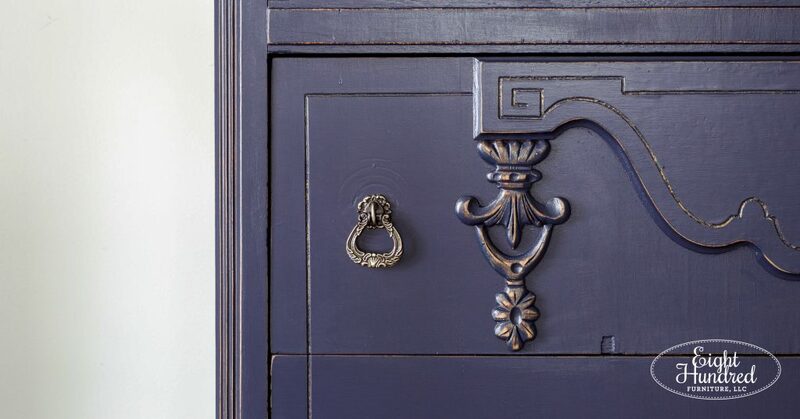 So, to make my life easier, I opted for the always classy Coastal Blue by General Finishes, which is a gorgeous navy. As you can see in the photo above, I had to remove all of the veneer on the bottom drawer. There was evidence of water damage and over half of the veneer was peeling away. I pried it off easily with my fingers. So at this point in the makeover, I was happy with the color but it looked a bit…boring. There were a lot of details that were disappearing into the blue paint, so I tried highlighting them with some Rub ‘N Buff. When I was finished, it looked too gaudy for my taste and it simply didn’t look like me. I polled my followers on Instagram and asked what they thought, and it leaned “good” over “gaudy” but I still couldn’t bring myself to call it a day, so I painted over all of the gold with more Coastal Blue. 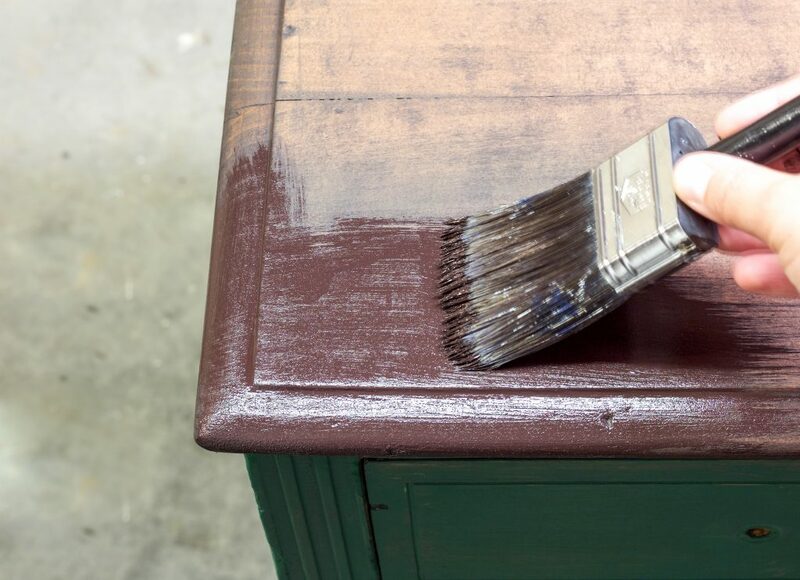 Then, I used some medium grit sandpaper to distress the edges of the dresser to add some interest and draw the eye to the shape of the piece. 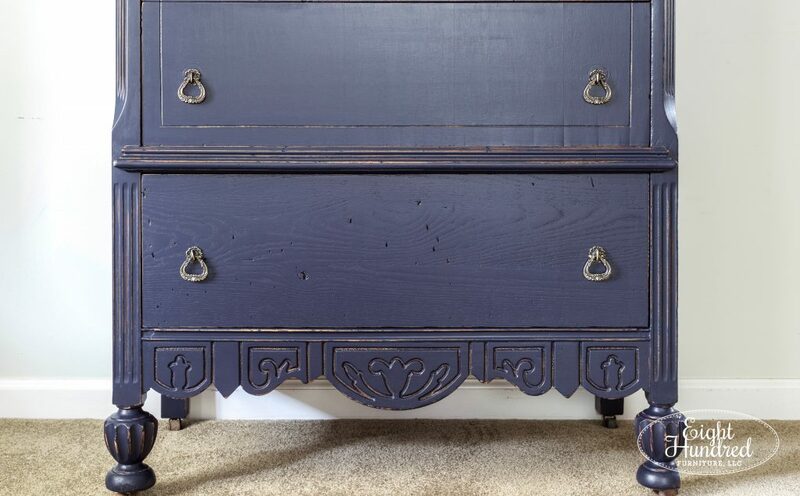 The distressing also added a rustic aspect to the dresser and toned down the fancy feel. 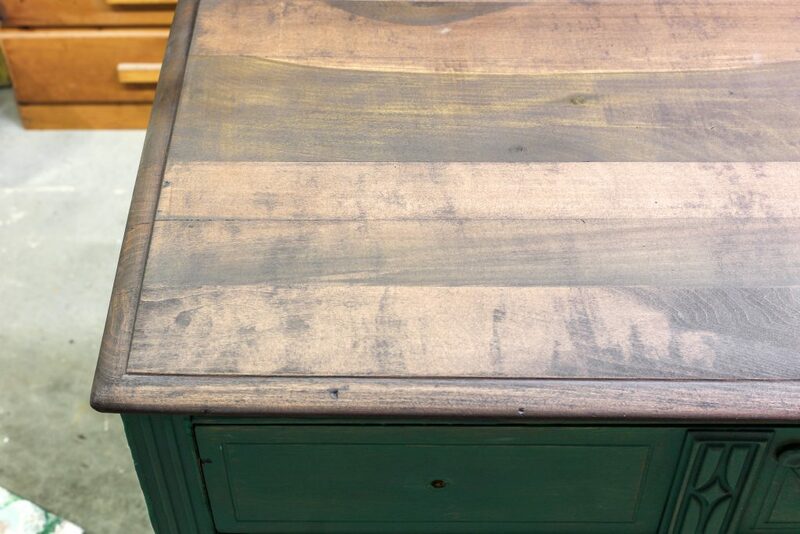 I also took the distressing to the drawer fronts and revealed a bit of the gold that I had painted over. It looks good now and not so “blingy”. 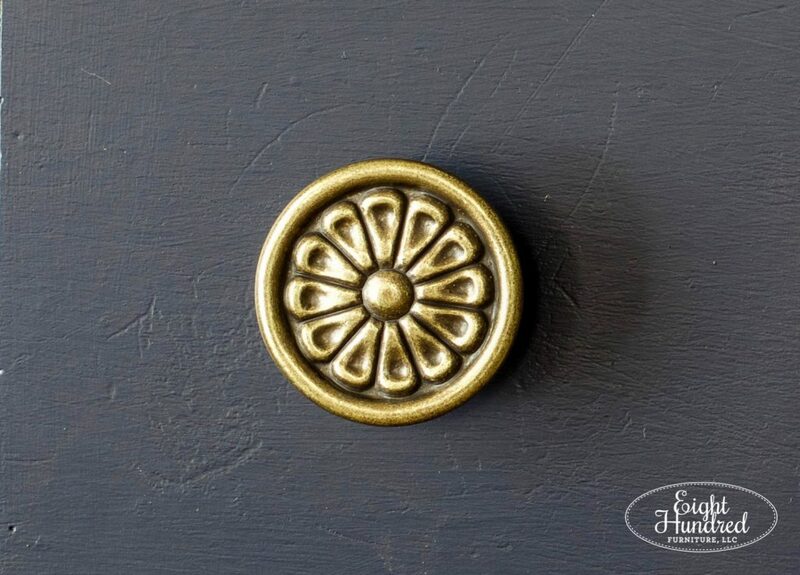 …and these knobs for the top two drawers. 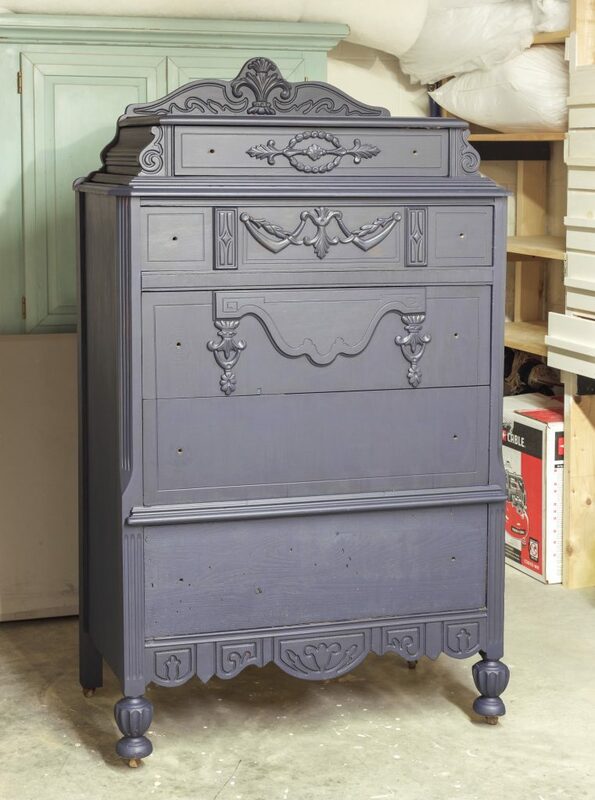 After a layer of General Finishes High Performance Topcoat in Flat, the tall dresser was looking quite lovely. 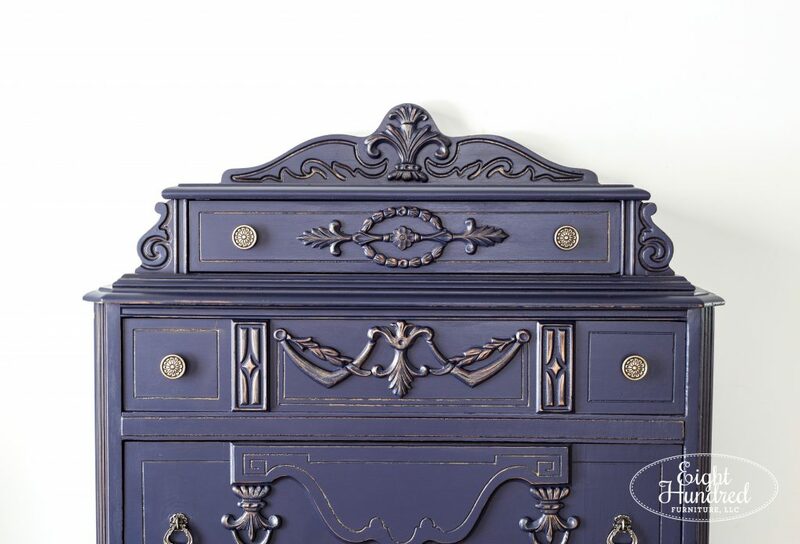 This dresser wears its imperfections well, and I didn’t fix every single thing that was wrong on it. 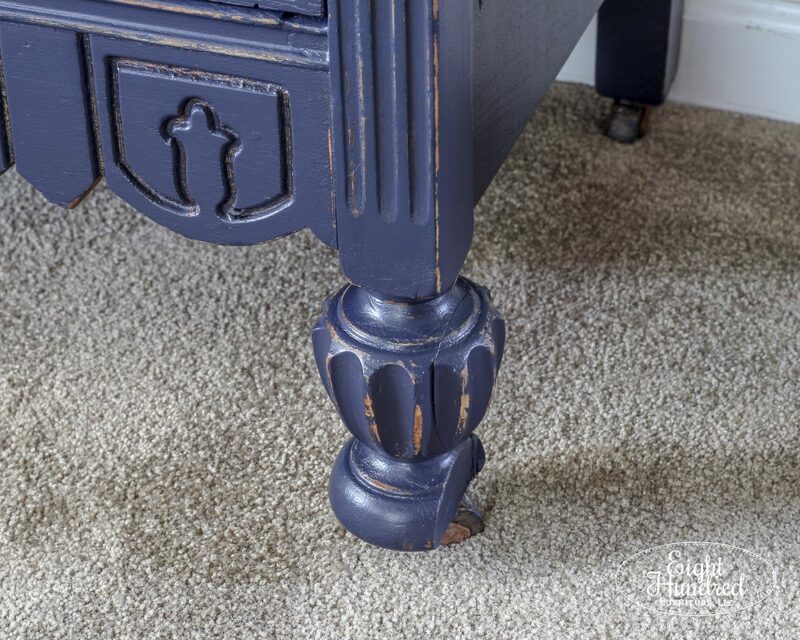 The bottom drawer doesn’t have any veneer on it, the front right leg was repaired and is missing a piece and you can still see the missing patches of veneer on the right side. But you know what? That’s okay. Things don’t have to be perfect in order for them to be beautiful. You don’t have to repair everything in order for something to be useable. 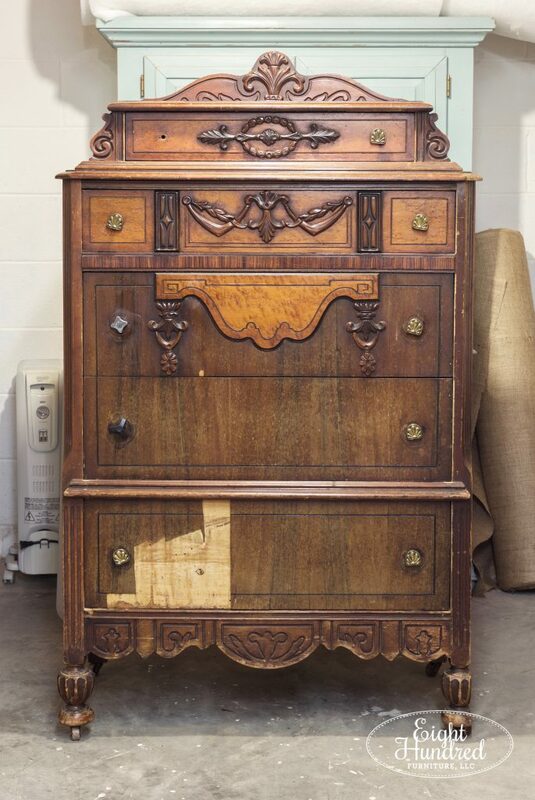 There is still value in this piece even with its blemishes. 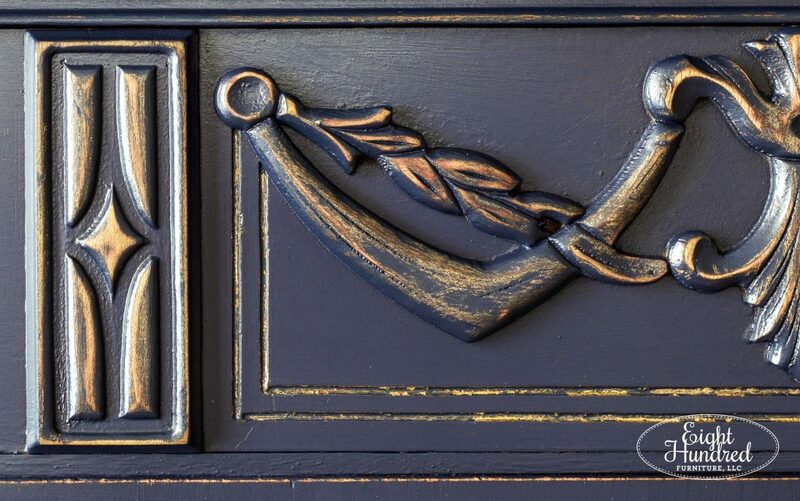 As I’m sitting on the couch with the cat curled up close by, I’m realizing that this dresser was a fitting piece for the season of life I find myself in at the moment. There are soooo many areas that require my attention and I can’t keep up with all of them. Cooking healthy meals, grocery shopping, feeding the cat, cleaning our home, painting furniture, keeping my retail spaces stocked up, working out, being with family, being a wife, growing the business, taking photos, blogging…sometimes it’s all too much and I can’t maintain it all. It doesn’t stay “fixed”. Do you know what I mean? 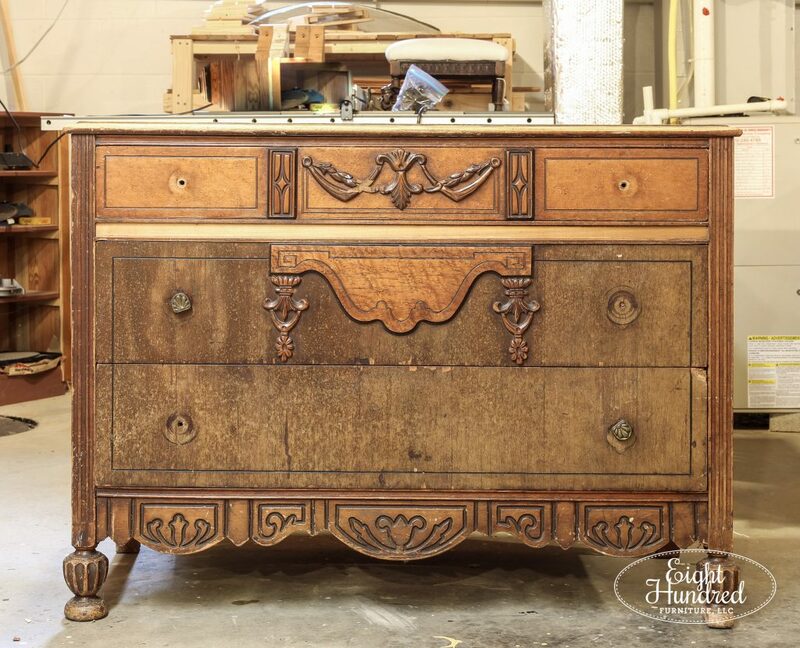 So just like this dresser, I fix what I can and I leave the other imperfections. Because let’s face it – no one has it all together and if they do, it doesn’t last. 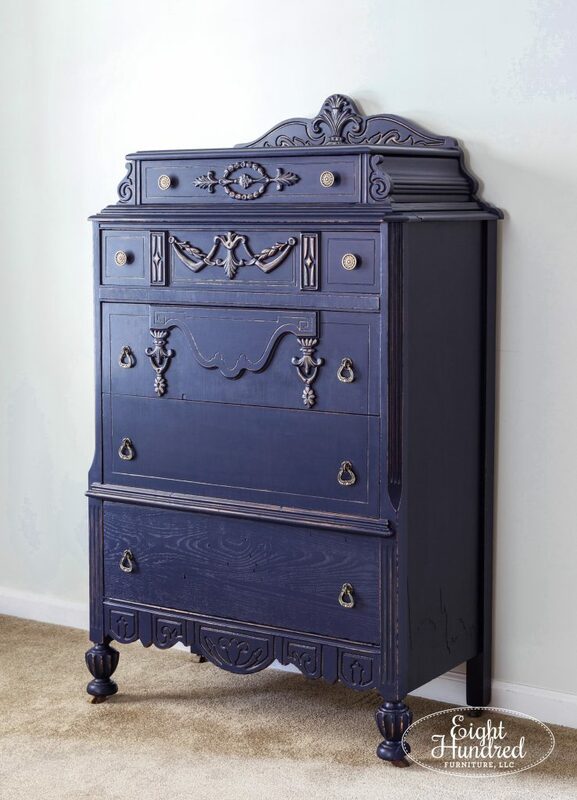 This dresser is real. It’s approachable because it’s not perfect. But man oh man does it look so much better than it did before. 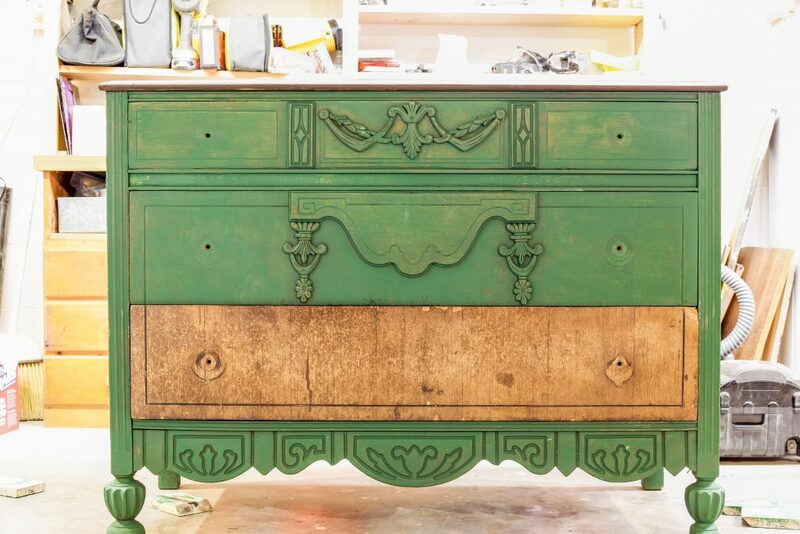 I finished the green dresser but was unable to give it a proper photo shoot. This past weekend was the grand opening celebration at Homestead Studios and I sold a few pieces of furniture so the green dresser was brought in to fill the holes in my room upstairs. I’ll bring my camera over there soon to take some shots so you can see how it turned out! 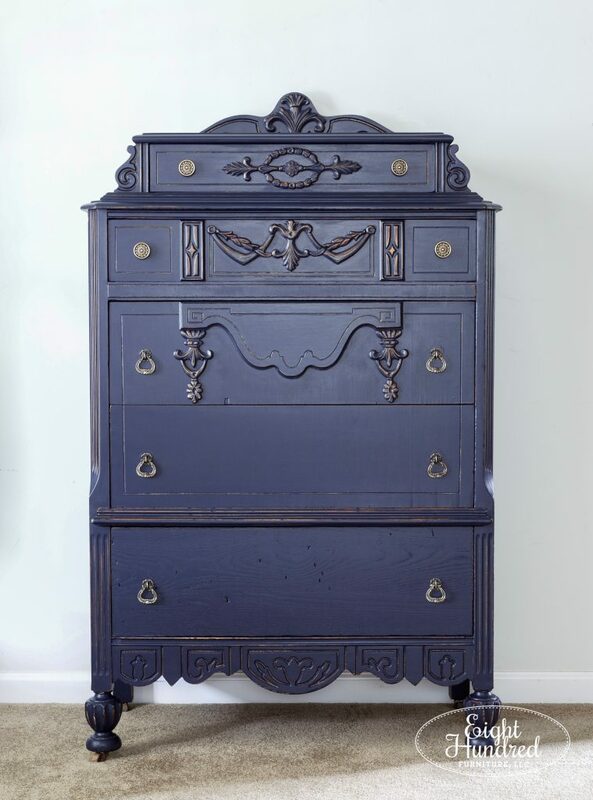 This navy dresser will be making its way to Morgantown Market this week because their Harvest Fest is going on. 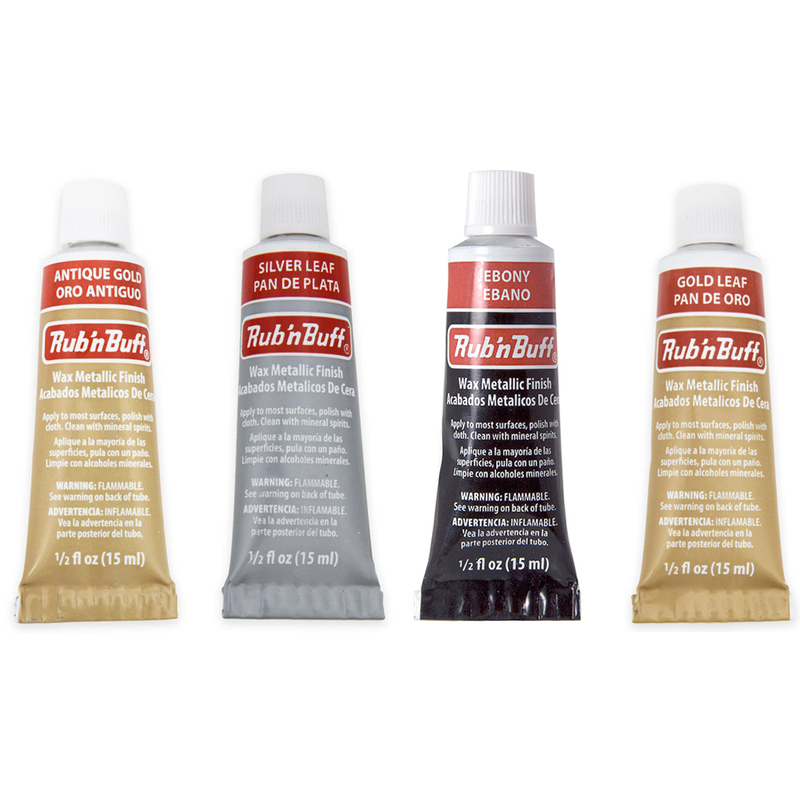 There will be all sorts of pumpkin flavored goodies to nibble on, lots of Fall decor to look at and I’ll be doing a General Finishes demo on Saturday. But for now, if you’re interested in this piece, shoot me an email! 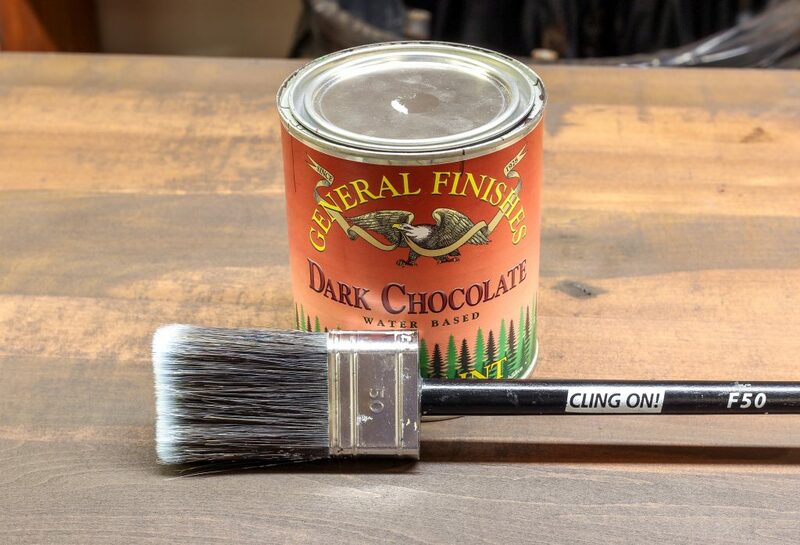 Tagged With: Amsterdam Green, Chalk Paint, Coastal Blue, Dark Chocolate Milk Paint, Depression Dresser, General Finishes, My two depression era dressers have proven to be challenging pieces to refinish.